Lind + Almond worked on the interiors, branding and bespoke furniture design for Hotel Sanders, which opened in Autumn 2017. 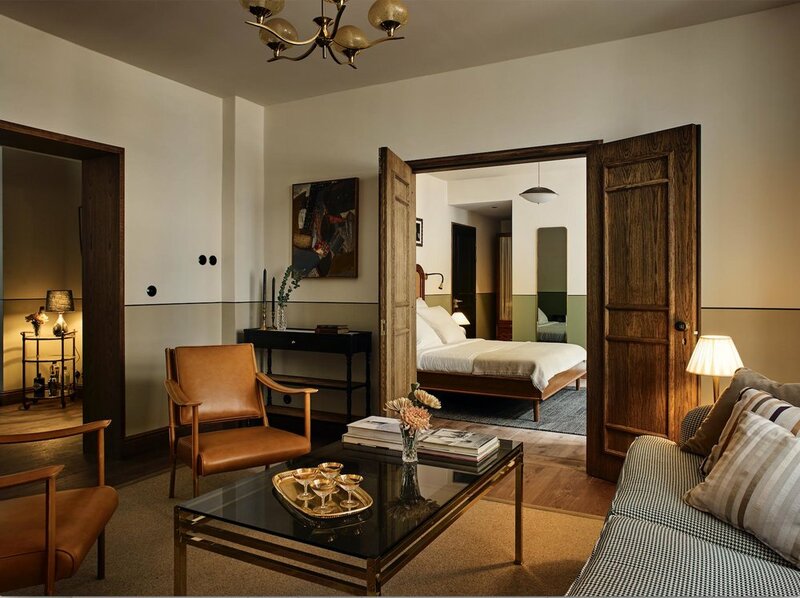 Pernille, being one half of the duo together with Richy Almond, created a hotel in the heart of Copenhagen fit for a world traveller and the first boutique hotel in Copenhagen of its kind. 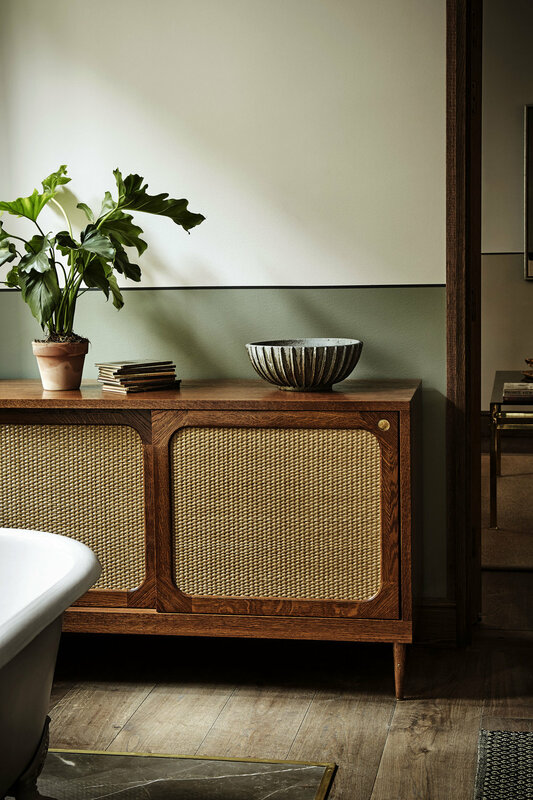 The result is a very personal and curated 'home', which takes reference from mid-modern Scandinavian design classics, mixed with a colonial twist and decadent English eccentricity. 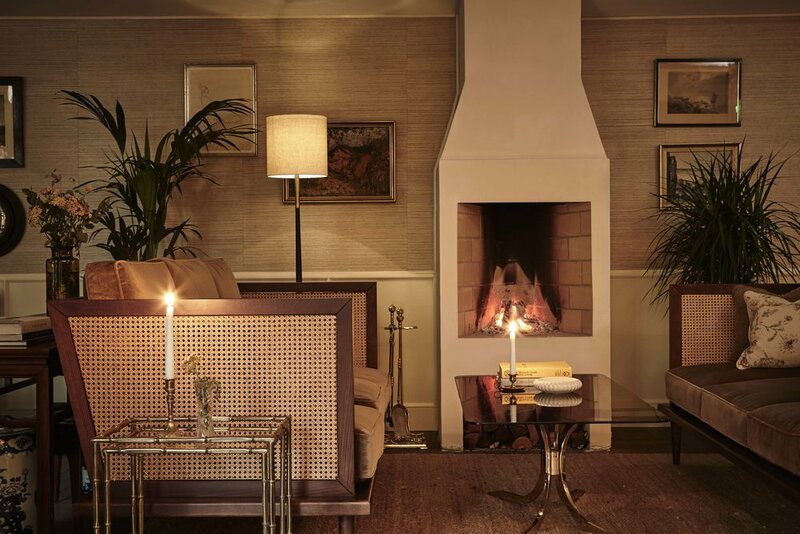 With 54 rooms and 6 suites, 5 public areas; Sanders Kitchen, The Living Room, Tata bar, The Courtyard and the 5th floor Conservatory, there are plenty of areas for the quest to explore the interior intricacy and cosy atmosphere, which makes the hotel more like a private home, rather than a public institution.